If you’re a licensed driver in the United States, you can qualify for an International Driving Permit (IDP). An IDP is valid and recognized by most governments. This means you’re in the driver’s seat. There is no driving test required to obtain your IDP. Licensed U.S. drivers over the age of 18 may qualify. Your IDP will be valid for one year from the date of issue. The best part of having your international driving permit is you can schedule your day trips and other adventures in a foreign country on your time. You are no longer at the mercy of the taxi or public transportation schedule. 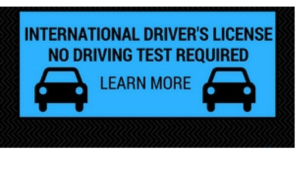 Order your International Driver’s License through Texas Tower.